Alg-A-Mic is a revitalizing product made from a high grade, organic seaweed concentrate extracted through cold pressing rather than chemical solvents. It contains a high level of natural nutrition that caters to the whole spectrum of plants needs, resulting in exuberant green foliage. 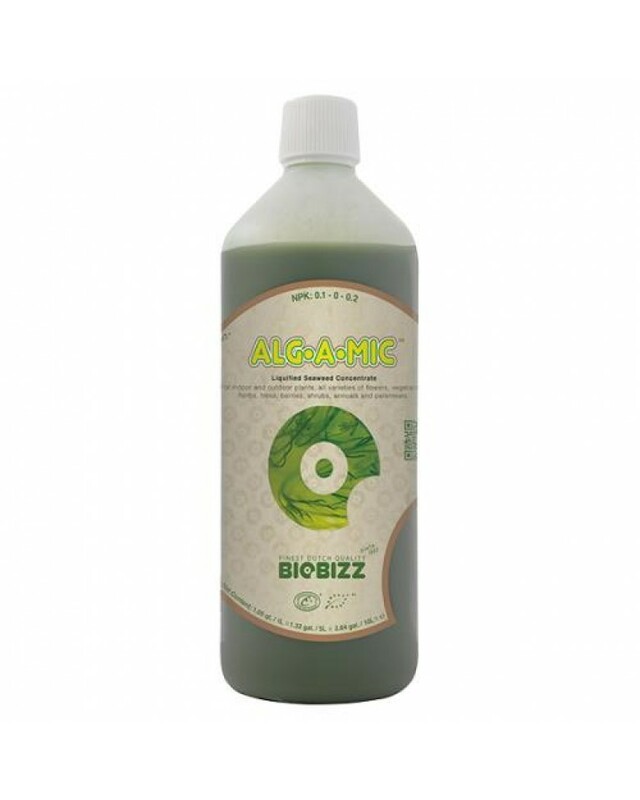 Alg-A-Mic is not a fertilizer and unlike many Bioboosters on the market today, Alg-A-Mic is the organic alternative and might be used along with regular nutrition. Makes a killer foliar feed!